Shambhalovlies, the time has come!! Tickets for the 2012 event, August 10-13th 2012, went on sale October 21st. In 17 days all online tickets were gone… we never could have predicted this!! Normally the retail sales begin while there are still tickets online, but this year we’ve had 25 days between online tickets selling out and store tickets being available. We cannot thank you beautiful people enough for making Shambhala history!! Because we know how excited you are to get your hands on these golden tickets (literally…they are gold-coloured! ), we want to remind you of a few things you may have forgotten. Remember that it is winter and roads are slick – so please, please drive carefully. Also, while we know you want to wait outside the store for hours before it opens, it is so important to maintain your health – so dress warm and bring warm beverages!! The stores won’t sell out almost instantly like the online tickets did because they need to process each order individually and check ID’s, so if you aren’t there several hours before they open you may still be okay. Of course, we can’t promise anything… so be prepared!! Shambhala staff will be stationed in each location, giving you a chance to meet the folk behind the scenes! Our Ticket Admin (me) and Social Media Director will maintain contact with store owners and FB/twitter to keep you informed on who is nearly sold out, and when they do sell out. Who will be there: Anna, Producer, & Salmo River Ranch owners may drop by! 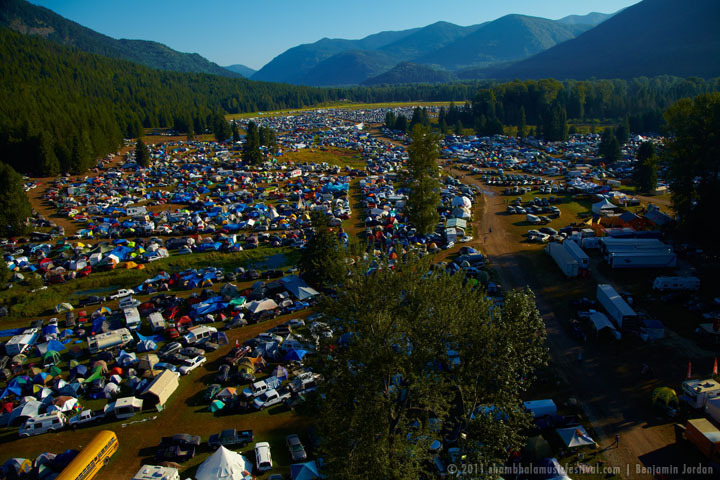 Remember that in each location will be an opportunity to WIN a Shambhala 2012 ticket!! Bring non-perishable food items to donate to local food banks! Every item you bring gets you one ticket for the draw! One ticket per retail location – five in total!! One last reminder – no online sales have been sent out as of yet. The first shipment will happen at the end of next week, around Dec 8th or 9th. Due to extreme volume of sales from the first couple days it is highly unlikely that orders past Oct 24th will get out before the new year – and we appreciate your patience! As soon as orders are shipped tracking information is entered on PayPal, and you should receive an email with that info. The post office holds onto registered mail for 10 days before sending it back to sender, so keep an eye out for those parcel pick up notices!! Didn’t get a ticket in time? Remember that Shambhala does not guarantee the validity of any tickets purchased through a 3rd party. The likelihood of purchasing a fake ticket is pretty slim – remember that they are holographic and very difficult to duplicate. Even so, we can give you some recommendations on how you can protect yourself from schemers: Try to meet up in person! Ask to see a copy of the transaction receipt! Don’t send the whole payment before you receive the tickets! Hold out for a couple months until the prices go down, which they will if the ridiculous prices aren’t paid! For more thoughts – check out the Ticket FAQ on the website. This entry was posted in Posts by Sara, Tickets and tagged 2012, Beatstreet Records, Big Cranium, Calgary, Edmonton, Nelson, Salmo, Shambhala 2012, Shambhalove, Shell Shock, Skyway Hardware, Ticket, Ticket Giveaway, Ticket Stores, Tickets, Tix, Vancouver. Bookmark the permalink. and the scramble begins . . . Neptune helps us all.